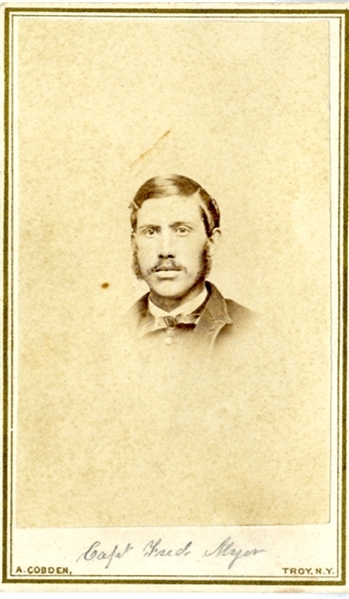 Carte de visite of soldier, with A. Cobden, Troy, New York photographer’s mark. Pencil ID “Capt. Fred. Myer.” Very good condition.